Note: This part is not legal for sale or use in emission restrictive states including California. BBK Performance Parts Exhaust X-Pipes for Ford Mustang applications offer unrestrictive, free-flowing and max scavenging exhaust upgrade over stock for improved horsepower, torque and aggressive tone. BBK X-Pipes are made from CNC mandrel-bent tubing for lasting performance and use, and are a direct bolt-on for worry-free installation. 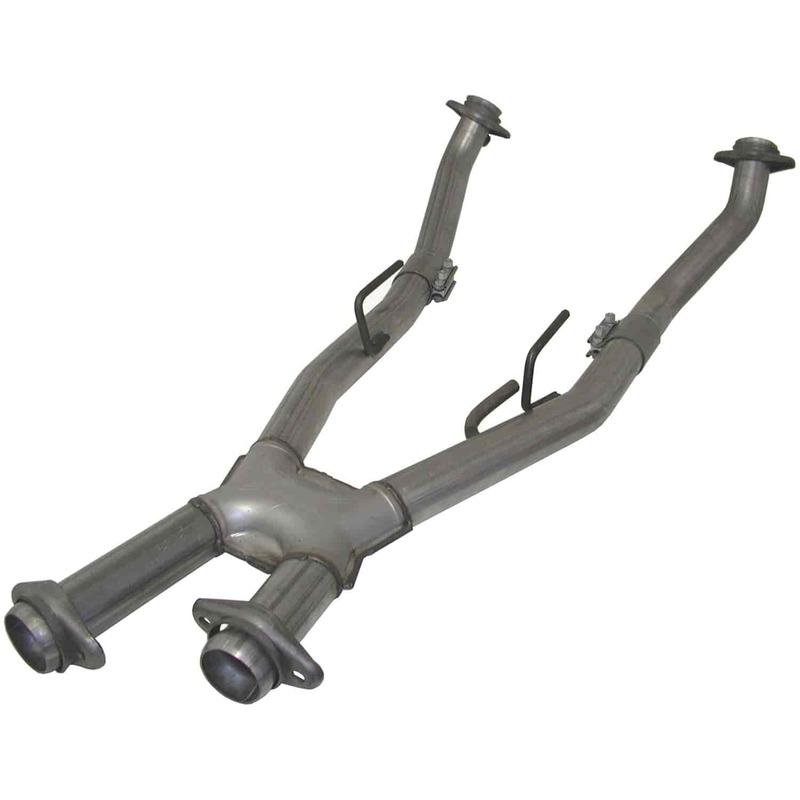 X-Pipes are available with catalytic converters for smog legal applications or without catalytic converters for off-road use and max horsepower and torque gain. Catalytic converter equipped x-pipes are not legal for sale in the state of California and will not be shipped to California. Off-road x-pipes are ONLY for the purpose of off-road use. May require a tuner to switch off rear O2 sensors (pending application). Does BBK Performance Parts 1665 fit your vehicle? 1665 is rated 5.0 out of 5 by 1. Rated 5 out of 5 by Jarve from BBK makes great stuff I've had several mustangs over the years. And the bbk x pipe I where I turn to everything. Everything about it is awesome. The only thing I have some concerns with. Is where the catback exhaust bolts to the back of the x pipe. The bubble flares on the back of the x are almost a hair to big even with a new catback, and are sometimes a pain to get sealed up. Other than that a great product for the price!